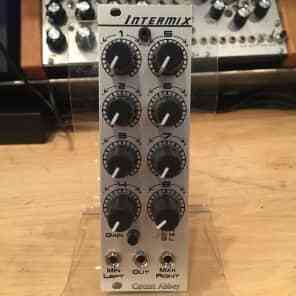 Bipolar 8:1 mix expander with switchable output range and Sum/Min/Max analog logic outputs. 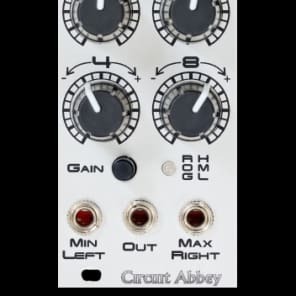 Turns the Circuit Abbey G8 into a multifunction sequencer that can perform 8-step linear, CV-scrub, random summation, and various counting modes (binary, prime, etc...) of sequencing. The G8 unit provides per-step voltage (gate), main trigger out, and reset.